Gamers are more demanding on their machines than the average user. They have high standards for their hardware that can only be met by top-notch components that deliver optimal performance. The tough part is meeting those demands with a high-end laptop that doesn’t break the bank. While you can tinker with plenty of configurations in the new Alienware 15, you’ll always be able to find a balance of top-tier, gaming-optimized features on a reasonable budget. Smoother gameplay. 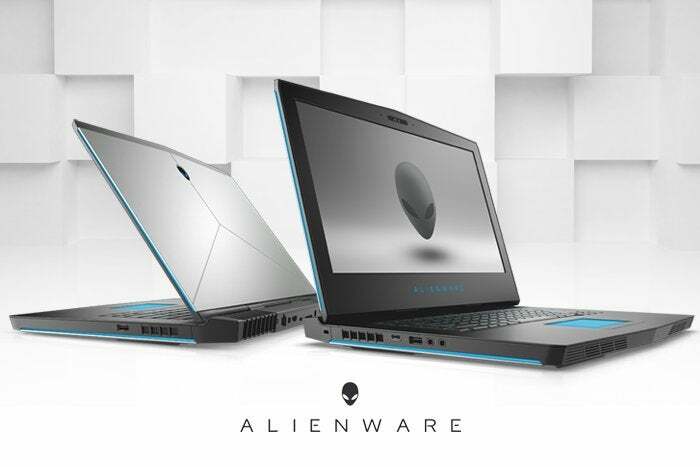 Starting with an overclocked 7th Gen Intel® CoreTM processor and NVIDIA® GeForce® graphics card, the Alienware 15’s powerful components drive deeply immersive experiences. Configurable up to a Core i7-7820HK and GeForce GTX 1080 GPU with new Max-Q design technology, it eliminates lag so you can enjoy crisp, responsive action. With a 15-inch Full HDdisplay with 120Hz refresh rate (or UHD at 60Hz for 4K content), nothing’s getting between you and your game. Smarter Tech. The Alienware 15 reinforces that ultra-smooth gameplay with NVIDIA G-sync, a technology that intelligently synchronizes refresh rates with the GPU for cleaner motion. Plus, thermal design power cooling technology helps those hardworking components under the hood stay cool even under intense pressure; an SSD loads games faster than a traditional hard drive; and for mobile sessions, a 99WHr battery delivers long battery life while Killer Wireless makes streaming a breeze. Balanced design. The Alienware’s 15-inch display with wide viewing angles is the perfect size for both power and portability. Gamers find this size to be the sweet spot for fully immersive gaming in a package that’s not too bulky to carry comfortably or slide into a standard messenger bag. Other smart design elements make sure it’s easy to manage, like utilizing premium, lightweight materials and organizing the majority of your critical ports in the rear so your cords stay clear of the action. Unique touches. The Alienware 15 is packed with tech you won’t find anywhere else. The Alienware Command Center lets you control thermal settings and overclocking levels to monitor and optimize application performance. And that command center aesthetic carries through to the body and keyboard as well. The TactX keyboard gives crisp, uniform responses and supports n-key rollover. It also lights up with customizable schemes or preset themes that can sync with over 130 games. Those modern touches are just a few of many ways the Alienware 15 puts players first. Future ready features. Alienware stays on top of the latest tech so you can be first in line (or first on Steam) for every new game. Current, affordable configurations support high-end virtual reality content like “Star Trek: Bridge Crew,” “Chronos,” and “Resident Evil 7: Biohazard” as well as any 4K game without breaking a sweat. Other forward-focused perks like biometric login and Tobii eye-tracking make this machine both fun and prescient for all users. Longevity. It’s tough to tell what game developers have in store for the future, but some things are certain: Games will be more immersive, inventive, and demanding. Alienware Graphics Amplifier currently supports top-end cards like the NVIDIA GeForce GTX TITAN and there are plenty more exciting GPUs in the pipeline. Easy accessibility to these components makes it simple to breathe new life into your system down the road. Need to know more? Get a full rundown of specifications, configurations, features, and limited-time, special offer pricing right here.